Chow Down Seattle: OPINION: Can Specials be too Special? 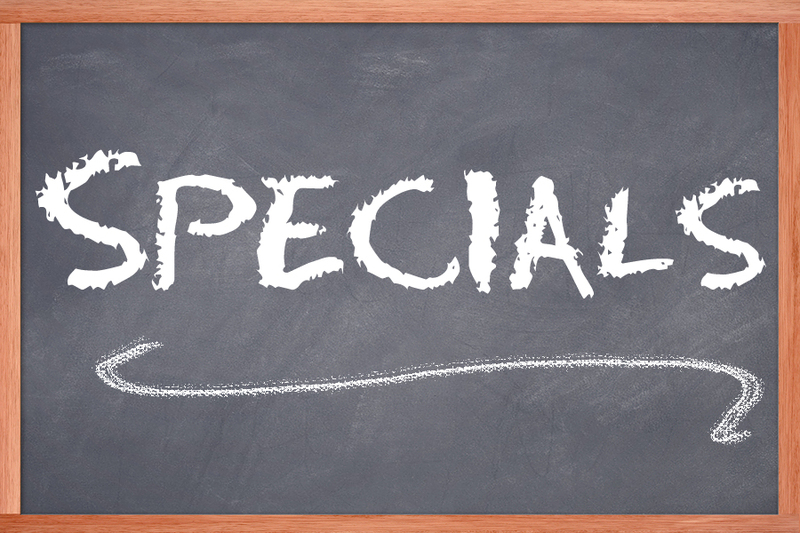 OPINION: Can Specials be too Special? One of my favorite joys in life is to go out to eat. Either at one of my favorite restaurants, or trying out a new place that has just opened up. Most restaurants will offer a special of the day or night, depending on your dining time. I like to hear what is offered as the special. Sometimes it is a fresh catch shipment of fish that was received earlier that day, or it's a one-time offering of the chef's favorite dish or new creation. More than half the time, I end up ordering the special. Now there have been times when the server will start rattling off the specials, and they just keep going and going and going. I was at one Italian restaurant here in Seattle, and I swear the server listed half of the menu as the specials. Now like I stated earlier, a special should be something new, or a chef's favorite, or something that will only be offered for a limited-time. This particular restaurant had two to three specials for each type of pasta they offered. The server was at our table for over five minutes going through the long, never-ending list of specials. Not only does a long list like that dilute the whole purpose of a "special", but the server had to waste so much time at each table describing each dish when they could have been helping other customers. The server could have just sat down and gone over the entire menu with us, because she basically did! I thought it was ridiculous that the restaurant had so many specials, and the so-called specials were just their normal dishes that are offered on their menu, so there really isn't anything "special" about them. In my opinion, a good restaurant should only offer up to two specials on any given night. The specials should be something new, exciting and fresh! It shouldn't be something that is already on the menu. They are called specials for a reason. The next time I go to this Italian restaurant, if there will even be a next time, I will just politely tell the server that we do not need to hear the specials. We will just read them off the menu. What do you think? Should a restaurant offer a huge list of specials, or are a couple just fine?